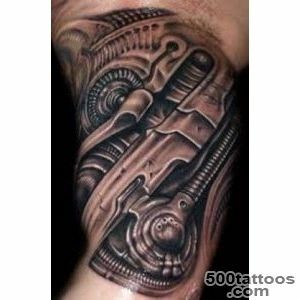 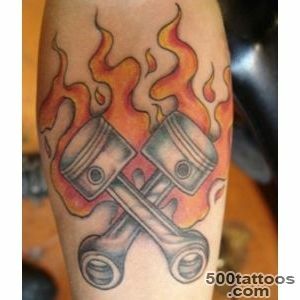 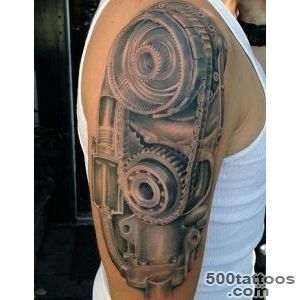 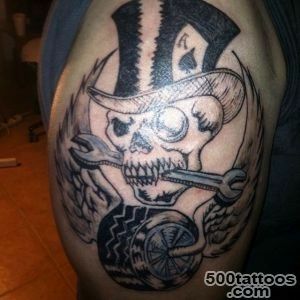 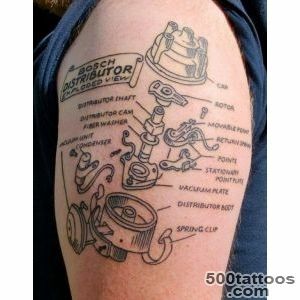 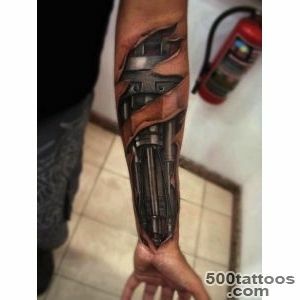 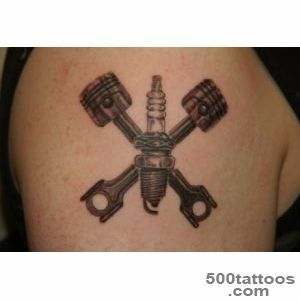 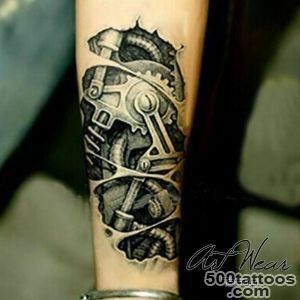 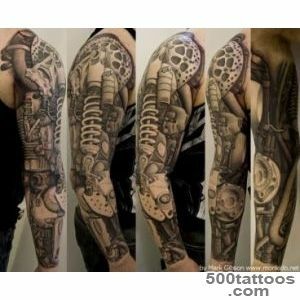 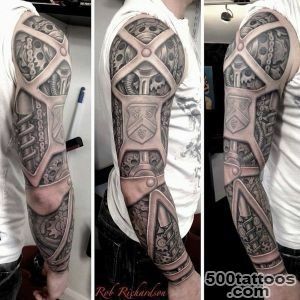 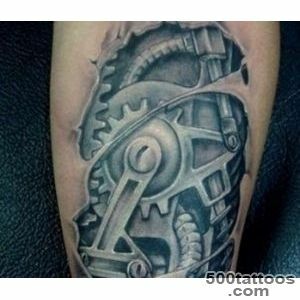 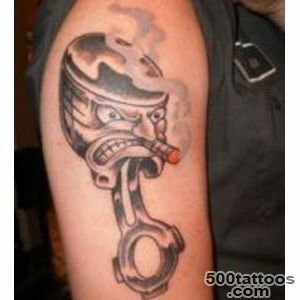 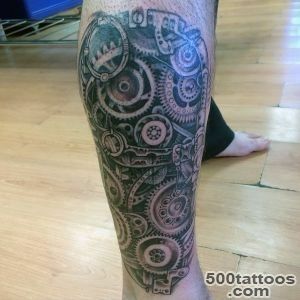 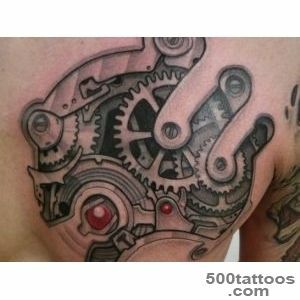 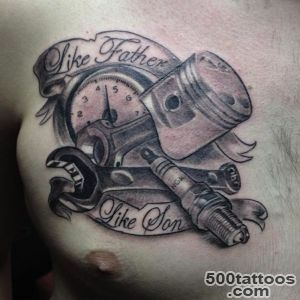 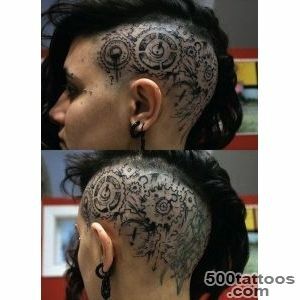 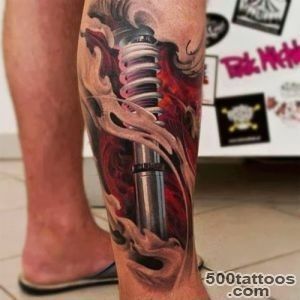 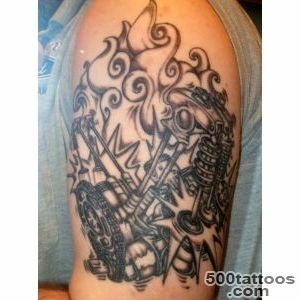 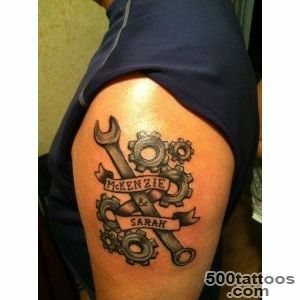 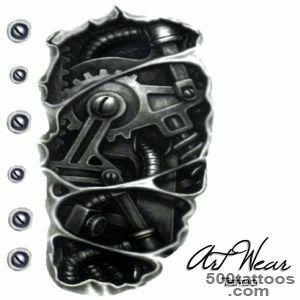 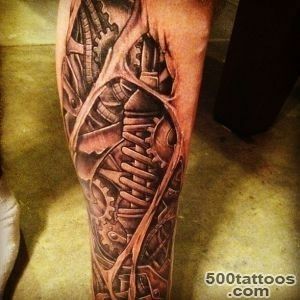 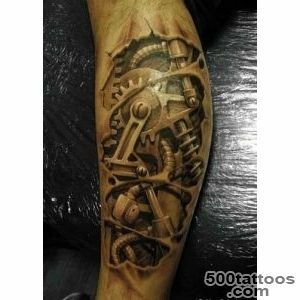 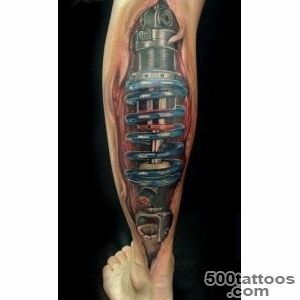 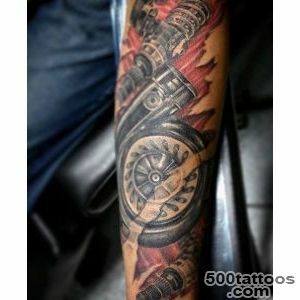 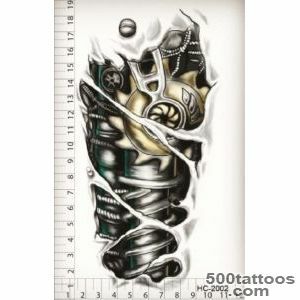 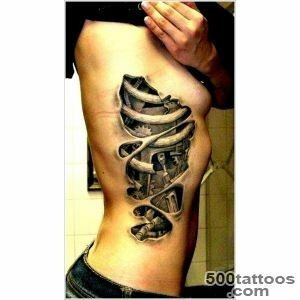 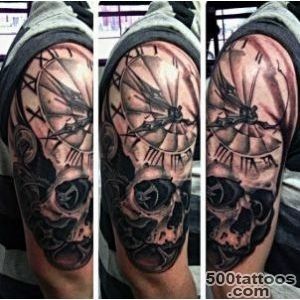 Tattoos mechanical or otherwise is delusional biomechanics parts and organs of the human body mechanisms. 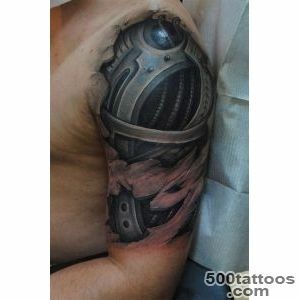 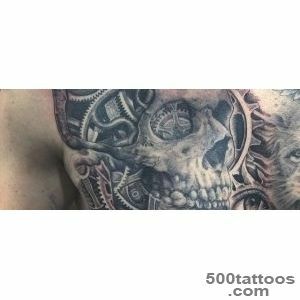 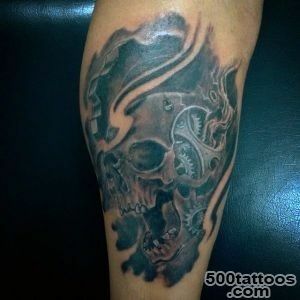 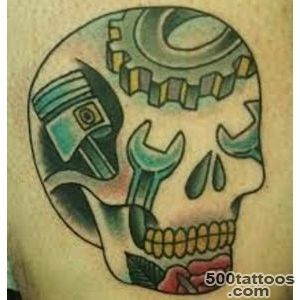 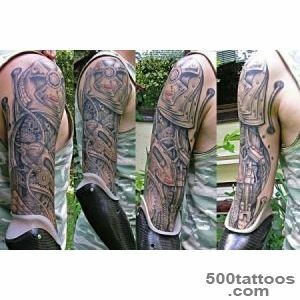 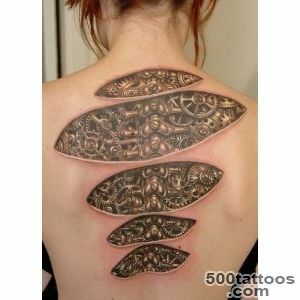 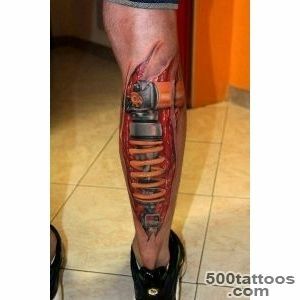 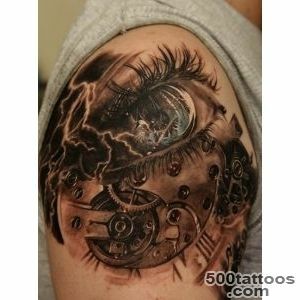 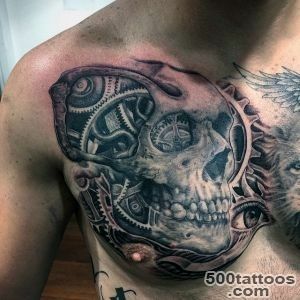 The look is such tattoos as metal parts that break through human skin or completely replace an organ or body fragment. 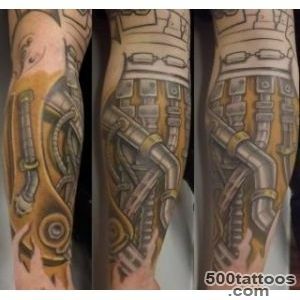 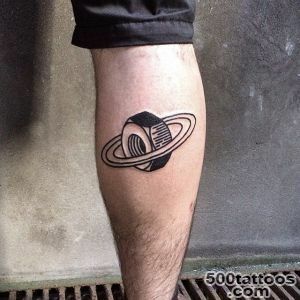 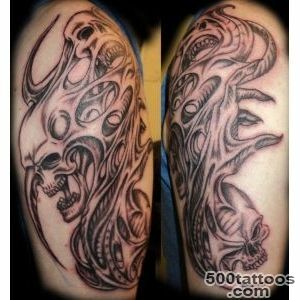 Another embodiment of such a tattoo is a cyber - organism,or extraterrestrial fantastic. 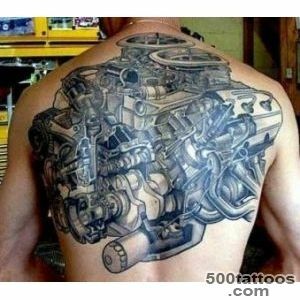 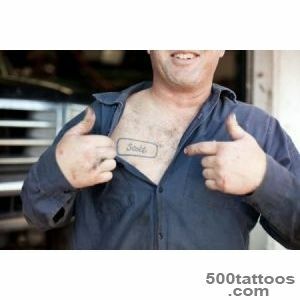 These tattoos are stuffed on almost all parts of the body. 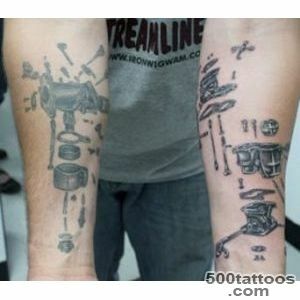 They come in both color and monochrome.